​Heidi has been performing and coaching aerials for the past 14 years. Heidi was a part of the Aerialize team and community for over 10 years. She has had many years of fun with them. Doing shows, training hard, teaching, performing and directing kids shows and open rig events and being a part of the performance company. She has trained aerials and circus skills with the worlds elite coaches and has performed and coached herself, internationally. Heidi will have been seen performing on Australian Idol, The X-Factor and in Sydney Fringe Festivals, short films, stunt work for commercials and has a large body of performing work under her belt. Previously, having been the first Junior National climbing champion of Australia and a multiple Xtreme-games medalist, Heidi is no stranger to challenges, both physically and mentally in the arena of heights and the vertical world. Heidi coached climbing for many years and had a habit of passing on everything she learns. It's with this depth of experience and passion for empowering others, that enables Heidi to have such amazing foundations for building a circus and aerial company. All Coaches and Guest Trainers who visit to work with Cirque M have their WWC checks, Current First Aid Certificates. 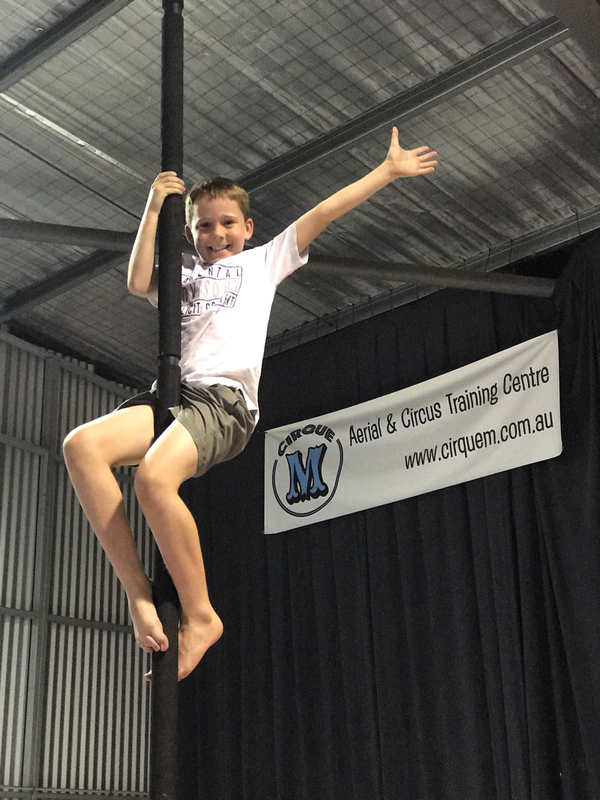 Cirque M takes great pride in providing high quality at all levels, responsible coaches who are passionate about sharing knowledge and skill.